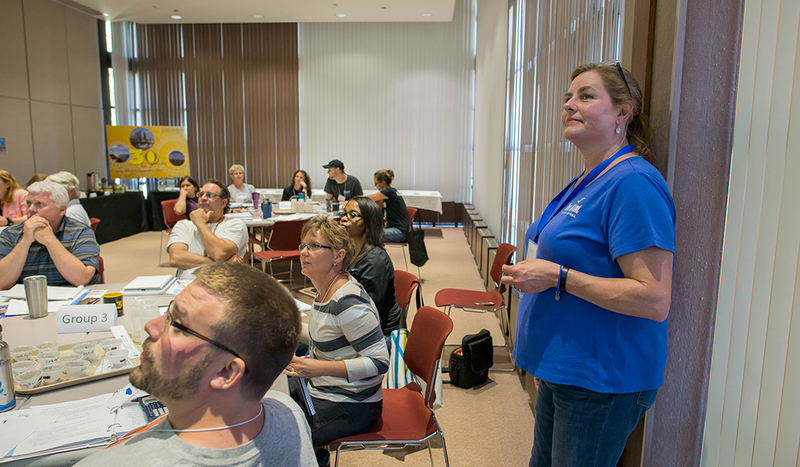 Last week IISG and the Illinois Sustainable Technology Center (ISTC) at the University of Illinois hosted a workshop for Illinois and Indiana teachers on pharmaceutical and personal care products (PPCPs) in the environment to help these teachers introduce or expand the issue of PPCPs into their classrooms. The start of the workshop was not for the squeamish. 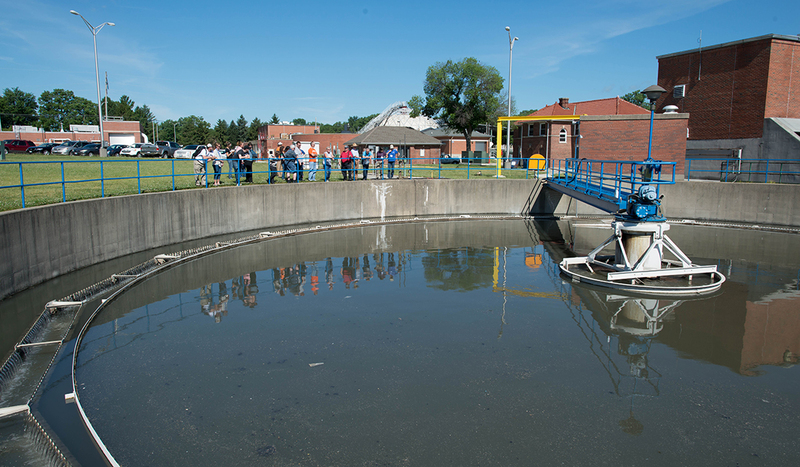 Teachers toured the Urbana & Champaign Sanitary District and saw — and smelled — firsthand how wastewater is treated. They then went to see how an ISTC lab is working on developing effective removal methods for PPCPs from wastewater. Environmental Educator Kirsten Hope Walker finished off the day with activities from the new IISG curriculum, The Medicine Chest, a series of lessons on the issues surrounding pharmaceuticals and personal care products. “I get so sick of people just thinking science and biology is memorization,” said Donna Brayfield a high school biology teacher at Sacred Heart-Griffin in Springfield, Illinois with 35 years experience. 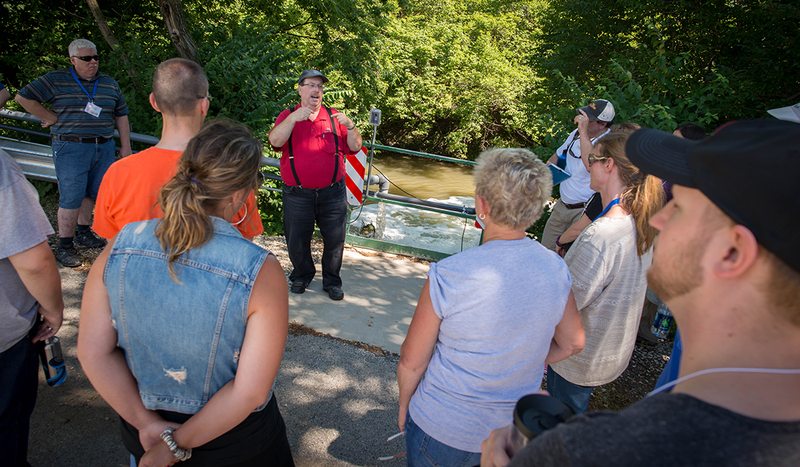 Bruce Rabe, who is the laboratory supervisor at the Urbana & Champaign Sanitary District, speaks to the teachers in front of clean water being discharged into the Saline Branch drainage ditch. It takes about 14 hours for wastewater to make it through the treatment process before it is returned to the stream. 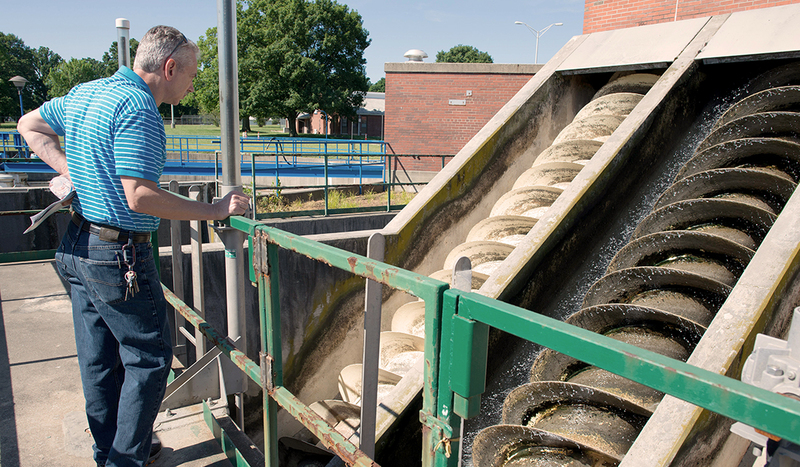 Daniel Martin, a physics teacher from Chicago High School for Agricultural Sciences, looks at the screw pumps used for moving large quantities of water. The tour stops by to look at a clarifier, which collects and separates solids. 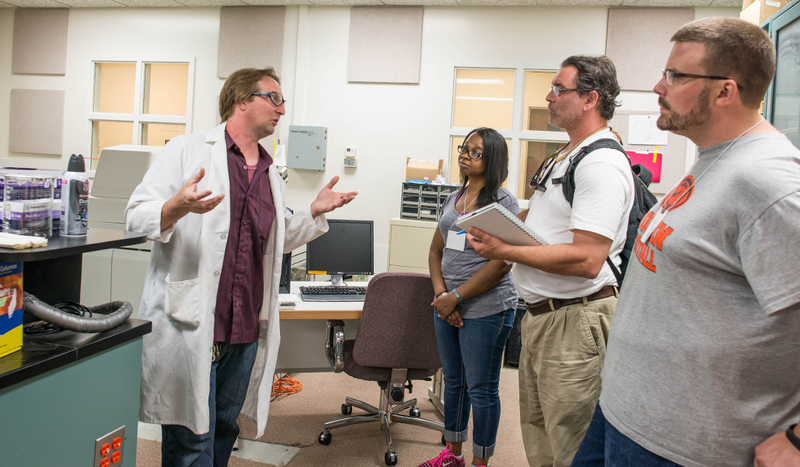 John Scott, senior analytical chemist at ISTC, gives teachers a tour of his lab. 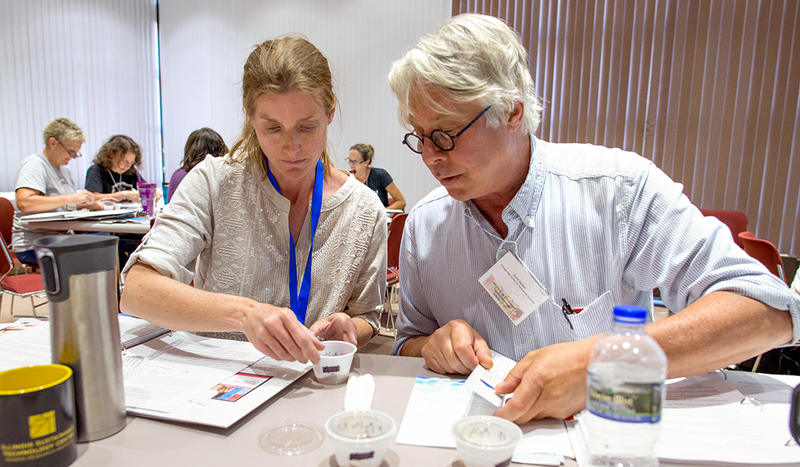 Workshop teachers become students again as they participate in a lab activity from The Medicine Chest. Kirsten Hope Walker, IISG environmental educator, leads a workshop on The Medicine Chest.